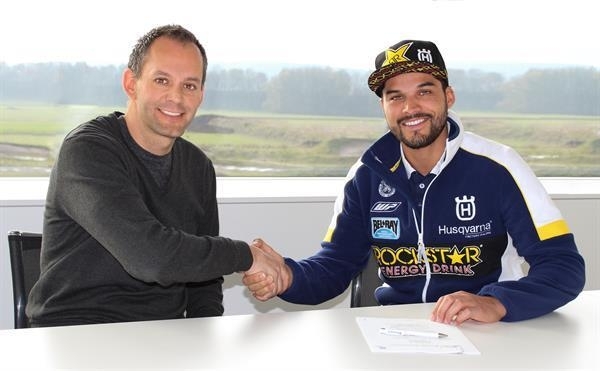 Quintanilla has enjoyed amazing success since joining the Rockstar Energy Husqvarna Factory Team. He was third in the Dakar Rally in January 2016, and in October secured the title in the FIM Cross Country Rallies World Championship. These two major successes in less than 12 months guarantee that Quintanilla goes to the 2017 Dakar Rally, the toughest offroad competition on the annual racing calendar, as one of the favourites. Robert Jonas, Husqvarna Motorcycles Vice President Motorsport: “Pablo is one of the most talented young riders in the rally sport. His attitude and his skills are impressive, and we are glad to be working with him for the coming years. We both have one goal, which is to be on the top of the Dakar podium and we will focus our efforts in the future to achieve this result as soon as we can." Quintanilla will spearhead the Husqvarna Motorcycles Dakar Rally attack in 2017 when it begins on January 2 in Asuncion, Paraguay. With Bolivia and Argentina, Paraguay is one of the three countries on the program for the next edition, which ends after 12 stages in Buenos Aires on January 14, 2017.